For one-of-a-kind authentic Hawaiian ambience, you can’t go wrong with Aulani. This Disney resort and spa is found at Ko Olina, Hawaii, perched on the edge of gorgeous white sand beaches and sparkling turquoise waters. 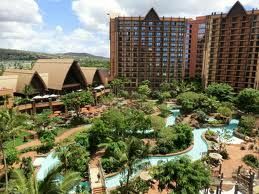 Buyatimeshare.com is proud to present Disney's Aulani Vacation Club Villas whether you are looking to buy, sell or rent. The Walt Disney Company is recognized the world over for their incredible attention to detail and for creating a wholly immersive experience. This newer property is no exception, with designers taking inspiration from Hawaii’s beautiful natural landscapes and rich cultural heritage. On the resort grounds, guests may visit the Waikolohe Valley. Kids will love the interactive water play area while parents may enjoy a gentle float down a stream. The pool is simply marvelous, featuring two slides and several cabanas. Perhaps the best attraction in Waikolohe Valley is Rainbow Reef, where guests get to snorkel with fascinating saltwater creatures. Parents anxious to get away from it all can book an appointment at the spa for a massage or another treatment from the full menu of specialties. There’s also a fitness center in case you want to keep up with your fitness regimen while you’re away from home. If you’re looking for fun that’s just right for the kids, take them to Aunty’s Beach House where something is always happening. This kids club is a dazzlingly entertaining place where the kids will want to spend hours. With arts and crafts, video games and all kinds of events, Aunty’s Beach House could easily become your child’s favorite part of Aulani. Despite all of these wonderful amenities, your favorite part of the Aulani Vacation Club Villas will probably be the guest rooms. 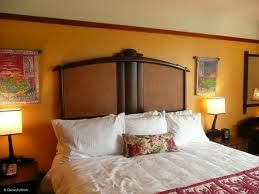 That’s because Disney Imagineers have thought of everything when it comes to guest quarters. In each villa, wood surfaces shine and many of the linens take their inspiration from traditional kapa cloth. The resort has been designed so carefully that almost every villa features a spectacular ocean view and a porch or balcony from which to enjoy it. Villas range from a deluxe studio that sleeps four up to a Grand Villa that can sleep 12. Look for marvelous room amenities like whirlpool tubs, flat screen televisions and full kitchens. Many villas even feature a laundry area to help keep the whole family neat and tidy. Dining is another rich experience at Aulani. ‘Ama ‘Ama features contemporary Hawaiian cuisine with an emphasis on fresh, fabulous seafood. At Makahiki, diners celebrate the annual harvest festival every day with a casual, buffet style eatery. This is also the place to enjoy character dining at breakfast. Quick service meals are on the menu at One Paddle, Two Paddle while Mama’s Snack Shop offers food for on the go guests. 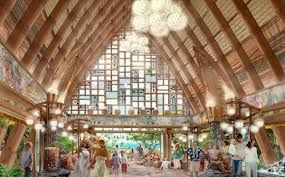 With stunning natural beauty, gorgeous accommodations and loads of thoughtful amenities, the Disney Aulani Vacation Club Villas are an ideal choice for people looking to buy or rent a timeshare property. 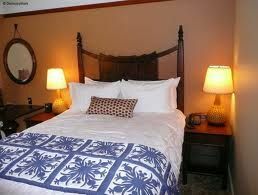 Contact Disney's Aulani Vacation Club Villas Specialist Today!